Get more sales with the #1 eCommerce marketing platform & store designs. The best eCommerce marketing platform. eCommerce Marketing 360® is a powerful marketing platform built to integrate with any online store or shopping cart software to increase product visibility and drive more sales. 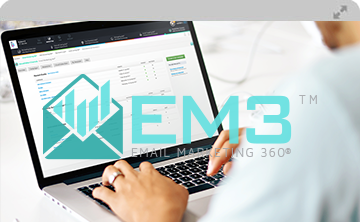 Hands down, no other marketing solution, service or software does everything the Marketing 360® platform does. 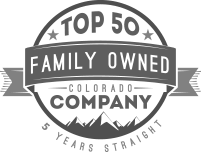 Marketing 360® is extremely affordable and has plans to fit any size budget. eCommerce Marketing 360® is a turnkey, fully managed solution. Work with a dedicated Marketing Executive who is a certified eCommerce marketer. Generate more online sales and customers with the software and services built within the eCommerce Marketing 360® platform. The eCommerce Marketing 360® platform is an intelligent combination of digital marketing software and dedicated marketing services. It integrates with any eCommerce website and is extremely affordable, powerful and full-service. There's simply nothing else like it. It's everything you need to generate sales and grow your brand. Convert more visitors into leads by leveraging the best eCommerce design process & store designs. Earn more organic sales & higher keyword rankings with the leading eCommerce SEO program. The #1 program for running targeted, algorithm based, product listing ads to increase online sales. Shoppers will visit many online stores before making a purchase. Retargeting motivates them to buy from you. 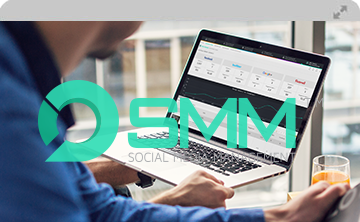 Understand the social profile of your traffic and use that data to capture new sales & customers. 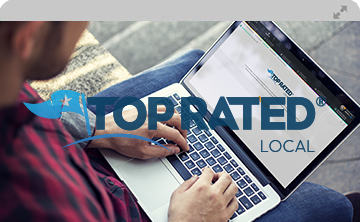 Control your reputation online and protect your brand with the Top Rated Local™ or National program. 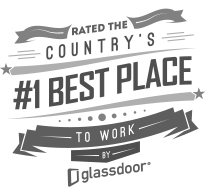 Leverage world-class marketing talent like marketers, designers, writers and video pros on demand. 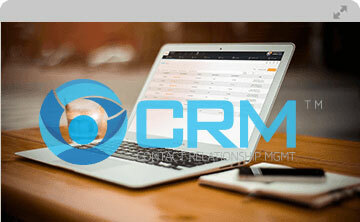 Manage your contacts with the easy to use and powerful Marketing 360® CRM. Choosing the right marketing partner is key to your brand's success. 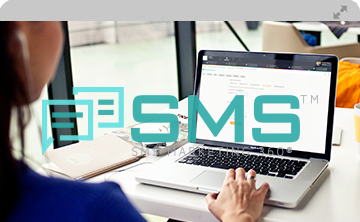 Easy to use, fully integrated tool for text message marketing and automation. With eCommerce Marketing 360®, all the work's done for you! A dedicated Marketing Executive will manage and optimize your marketing campaigns and website for you. Simply login to Marketing 360® at any time to monitor results. Or, call or email your Marketing Executive whenever you'd like. Spend as much or as little of your own time improving your marketing and website by leveraging the power of the Marketing 360® platform and the talents and time of your Marketing Executive who is a certified eCommerce marketing expert. How Did eCommerce Get so Confusing? You’ve probably shopped around for ecommerce websites and marketing services. There’s SEO. Website Design. Clicks…call to action…conversion rates. You talked with “Experts” who work on the 75th floor–and others who work in their basement. They all talk about optimization, but you don’t know what they mean by it. There’s software platforms that do it all–after you’ve done all the set-up. You pay, but can’t figure out for what. Google did it one way yesterday…another way tomorrow. Confused? Frustrated? We can help. eCommerce Marketing 360® is the solution you’ve been hoping for. It’s a software platform that focuses on what you need to know: what’s leading to sales. You’ll understand who your target audience is and what’s motivating them to buy. That’s ecommerce gold. eCommerce Marketing 360® is also people. We don’t strand you in the digital desert. You work with an ecommerce marketing expert who is your partner. They’ll talk to you everyday if you need it. It’s designers, techies, and writers–at your disposal. This is your marketing department using technology’s best tools. Sound expensive? It’s not. This is a solution built for the 75th floor, but the cost is closer to the guy in the basement. 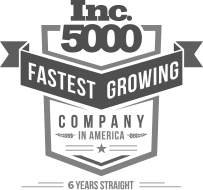 eCommerce Marketing 360® is built for start-ups, entrepreneur, small businesses–people who dream of controlling their own destiny. It’s an ecommerce software and marketing hybrid designed to work for you–rather than you working for it. Spend your time filling orders, providing service to your customers, and making money. What do we mean by optimization? We mean improvement. Improved design. Improved clicks. Improved conversions. Plain and simple, improved sales. Work with a team that understands why you wanted to start an ecommerce website in the first place. Turn the dream into reality. It starts today. The following questions relate to marketing challenges every ecommerce website faces. To be successful, you need solid answers to each of these questions. Who is your primary target audience? (if you think the bigger the better, start over and narrow your focus). How will they learn about your products and website? How will you establish a competitive pricing structure? Are there any issues shipping merchandise? How do you connect on an emotional level with buyers? What objections do you have to overcome? Why will people tell their friends about you? Answer these questions with clarity and detail. They will underpin your marketing strategy. If you struggle to come-up with any of the answers, it will likely cause you problems later. Feel free to talk to an ecommerce marketing consultant. We’ve helped hundreds of ecommerce businesses get started with their marketing. Looking to make a fast buck? Want immediate gratification? Lazy? Some people get into eCommerce marketing for the wrong reasons. The world of eCommerce has allure. Start-up costs are lower . Technology allows for a certain amount of automation. You can be your own boss. But the road to failure is littered with hope and unrealistic expectations. Here are 10 characteristics that are not per-cursors of online marketing success. If too many of these strike a chord with you, think twice before you invest in eCommerce. If none of this sounds like you, you’re at a great place to get started as an online retailer. You have unrealistic expectations. If you have a get rich quick/retire early mentality, you’re probably going to be frustrated. While some eCommerce websites take-off quickly, most take a year or more of search marketing and brand building to generate significant revenue. Unless your product line is unique and can go viral, you won’t see overnight riches with ecommerce. Like traditional businesses, it takes time to get to the top. You have trouble accepting change. Online marketing is based on doing more of what works and less of what doesn’t. You have to be willing to experiment, make changes, and learn from failures. You won’t be able to do less of what doesn’t work if you don’t identify it. If you’re not willing to change, then neither will your results. As you identify successful campaigns, you can build on that success. You’re lazy. Starting an ecommerce business is not a 20 hour a week job. The best online retailers work very hard and provide superior phone support and customer service. 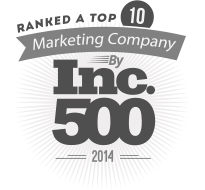 You need to be on-top of marketing trends, pricing models, and what your competition is doing. If your goal is to have a “flex schedule” where you picture yourself on the golf course a lot, this is not for you. You want to rely on automation and delegation. There are ways that technology automates inventory tracking and order processing. And there are activities you’ll want to delegate, most of which are probably online marketing requirements you don’t have the expertise to handle. But there is a lot of work you need to do yourself, particularly with customer service, product management, and overall business direction. You hate data. You don’t have to be a marketing analyst, but there is a great deal of data you can take advantage of with ecommerce marketing. If you hate looking at data, you won’t know what’s going on with your campaigns. You can work with an ecommerce marketing agency, but you’ll get the most out of that relationship if you understand what they’re talking about. You feel compelled to reinvent the wheel. Many ecommerce start-ups want a cool, innovative website that is like no other. They want to focus on obscure keywords and demographics to find their niche. Before doing any of that, be prepared to go with what is known to work. Simple, easy to navigate ecommerce sites that highlight deals and popular products sell the best. Product positioning and price play a big role in capturing your niche. You’re in panic mode. If you have a physical store that is failing and you’re on your last leg – hoping ecommerce will resurrect your business – it may be too late. Again, you have to set realistic expectations. Ecommerce ROI can take months or years, and it may be too little to late to save a dying business. Under these circumstances, you may need to think of closing your store and re-allocating your budget to just doing ecommerce marketing. Then you may be able to make a run at it. You have no time. You want to build out the ecommerce aspect of your business but you have no time to put into it. Busy is an excuse. Your success will ultimately rely on you, and if you can’t allocate some of your time don’t get into it. A marketing agency can help here, but if all they ever hear from you is “sorry I’m so busy I haven’t kept up with any of this” then you’re making them work with their mouse tied behind their back. Ultimately, it’s your business and your leadership will be critical to success. You hate technology. Don’t get into ecommerce just because you heard it’s hot. If you can barely manage email, you’re going to struggle. Be prepared to learn about website content management systems, email marketing, social media platforms, mobile devices, and online merchant processing. Your strategy is based on hope. Hope and pray all you want, but there is no substitute for a solid business plan. Write one out with 1 and 5 year benchmarks. Many of of the first 9 problems will be avoided if you take the time to write out an online marketing business plan. If it’s thorough, you’ll greatly improved your chances of success with ecommerce marketing and sales. Video Earn more organic sales & higher keyword rankings with the leading eCommerce SEO program. Video The #1 program for running targeted, algorithm based, product listing ads to increase online sales. Video Shoppers will visit many online stores before making a purchase. Retargeting motivates them to buy from you. Video Understand the social profile of your traffic and use that data to capture new sales & customers. 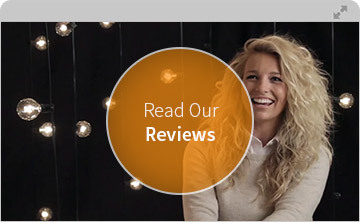 Video Leverage world-class marketing talent to execute your marketing & design needs on demand.